I’ll say this; there was an awful lot of list left at the end of Friday. At the end of the whole week, in actual fact. Things on my to-do-list kept getting carried over to the next day. And the next. I did things for other people, which I suppose was nice of me. Other people being Offspring. They both had need of proof reading, and luckily for them, I had finished one by the time the other came along with his request. Only by half an hour or so, but at least it wasn’t simultaneous proofing. And what they had really needed proof reading. Not saying it was bad, what they had produced. On the contrary. It was pretty good, which is why you definitely need that last bit of making it’s into its and segregating the affects from the effects. Making sure the year is 2015, or people will have turned up last year. One was easier to read than the other, but I persevered with the difficult one as well. The words were mostly normal, but put together in such a way that it wasn’t completely obvious – to me – what they were saying. There were wobbles. And jitters. Those were the folksiest of the descriptions. The easier one was read by both me and the Resident IT Consultant. We compared notes at the end of it, and interestingly enough, except for one overlap, each had found different mistakes. If I can let Friday count as the end of my – working – week, I finished off by assisting with an application. The old-fashioned kind; not an app (which I still have trouble getting my head round). I almost fell asleep in the middle of it. I find my eyes are more comfortable when they are closed, but it does make accidental snoozes more likely. 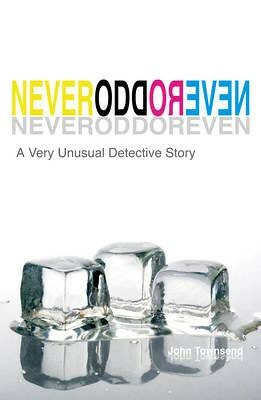 Eliot in Never Odd or Even probably has Asperger Syndrome. And I reckon this book will appeal to children with similar fondness for prime numbers and palindromes and stuff like that. It even appealed to me, although I had feared it might not, what with all the numbers and things to begin with. As with other aspie books, it’s about being bullied at school and about solving a crime. The two are obviously connected. We never learn all that much about the main character, who has to be called Eliot or his name wouldn’t fit in with the palindromes and all the rest. I’m thinking John Townsend likes stuff like that too. It’s a short and entertaining book about a boy with special interests and his interactions with the villain of the piece, Victor. Victor is vile. Evil. I was a little surprised by the crime, as well as its solution. I won’t say more. To begin with I have to admit to a few thoughts I had when I learned that between them Scottish Book Trust and the Scottish Government have put money into a scheme to try and teach people about the trouble with sectarianism. My mind immediately went to Islam versus some other religious group (whereas the book in question – Walk the Walk – is about Catholics and Protestants). And then I thought that I don’t believe in artificial stories or fiction that is brought to us to teach us how to behave. 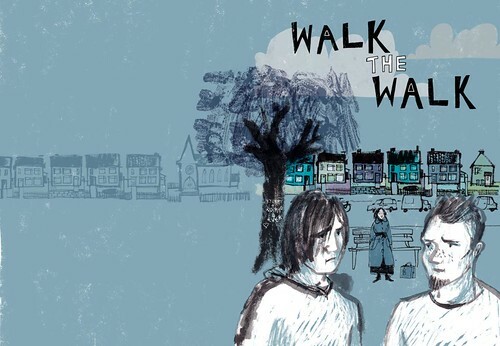 To top it all, when I began reading Walk the Walk (downloadable as a pdf here), I was unable to tell the Catholics from the Protestants. My first guess was – probably – the wrong one, so I turned the situation on its head. That in itself should prove that either I’m exceptionally dim, or that it’s not actually terribly obvious. Take away skin colour and religious uniform and we tend to look surprisingly similar. Set in Glasgow, the only black character is from Edinburgh. And with my Swedish hat on, I have to admit that this kind of official attempt to make life better and to have people love one another, sometimes might work, a little. So I’m pleased to live in a country where they at least try. 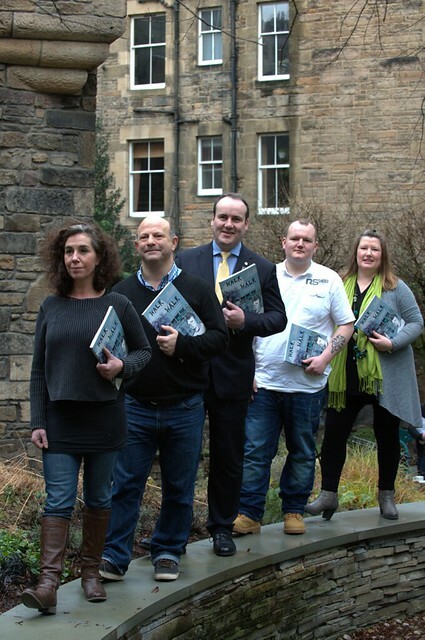 Launched yesterday by Scottish Book Trust and Paul Wheelhouse MSP, Minister for Community Safety and Legal Affairs, the book will be distributed to literacy tutors across Scotland. It was written in dramatised form by Gowan Calder and illustrated in comic book style by Jill Calder. And for a story born in this way, it’s pretty good. At least the first half which I’ve had time to read. I think we should all give it a go. It might make us feel that those others aren’t so strange, after all. Whoever ‘those others’ are, which will vary depending on who you are and where. Numbers, or is it art? One, three, forty, eighty, one hundred. 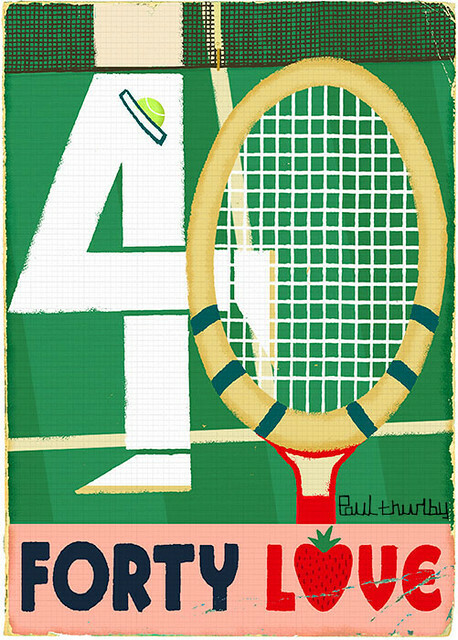 This Numbers book by artist Paul Thurlby might be ‘simply’ a children’s picture book to teach them numbers. But I don’t think so. It’s art. The adult in me could – almost – be willing to tear the pages out and frame them. Luckily I have no wall space left. I know nothing about retro-modern Paul, but it seems he’s also responsible for Alphabet, and I bet that’s wonderful to look at, too. You don’t need a child for this book. Another irresistible collection of short stories for you. This time to mark the anniversary of WWI, and it’s all about girls. 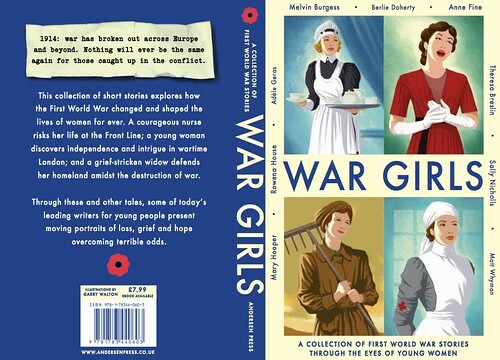 In War Girls nine of our best authors get together to tell the stories of the young females left behind. And there are so many ways to do that. I loved Theresa Breslin’s tale of the young artist who took her crayons with her as she went to France as a nurse. Matt Whyman looks at the war from the point of view of ‘the enemy’ in the form of a female sniper in Turkey. Very powerful story. Mary Hooper has spies in a teashop, and you can never be too careful who you speak to or who you help. I found Rowena House’s story about geese in France both touching, and also quite chilling. I’d never heard about the theories for the outbreak of the Spanish flu before. 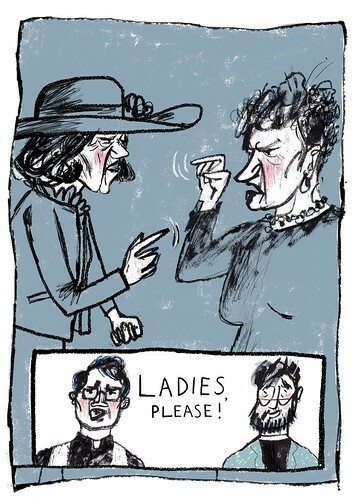 Melvin Burgess tells us about a strong heroine, who can’t abide cowardice, even in those close to her. Berlie Doherty’s young lady can sing, and that’s what she does to help the war effort. And singing isn’t necessarily safer or easier than being in the trenches. Anne Fine deals with hope, and whether it’s all right to lie to make someone’s suffering less heavy. Adèle Geras has updated her story The Green Behind the Glass, which I’ve read several times before. It’s still one of my favourites and can easily be read again and again. Sally Nicholls may be young, but she can still imagine what it was like to be old and to have survived as one of the spare women of the war; one of those who could never hope to marry. 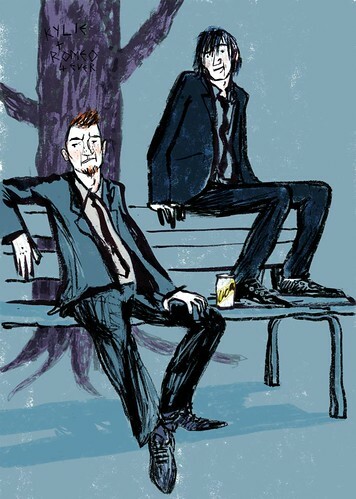 I don’t believe there is enough written about them, and Going Spare is a fantastic offering on the subject. This week I found a rather lovely video by Debi Gliori on her blog, Fiddle and Pins. I clicked on it, expecting a few minutes of something, but what I got was 25 minutes of Debi-history. She begins with her birth, which Debi draws with surprising accuracy (I assume she really remembers this being born stuff), and then she continues to draw her childhood and school years. There are drawings of her pet dragon (I just knew that’s what Debi would have had) and the nuns at school, and her own first baby. And unlike that silly nun, I do know Debi isn’t Gloria (although it is quite a nice name).